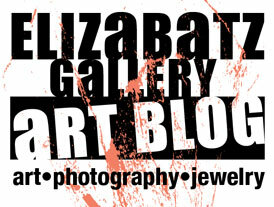 Over the years reptilian creatures have been slithering their way into my art work making me think that maybe it’s time to gather up a mass of lizards and see what I have! 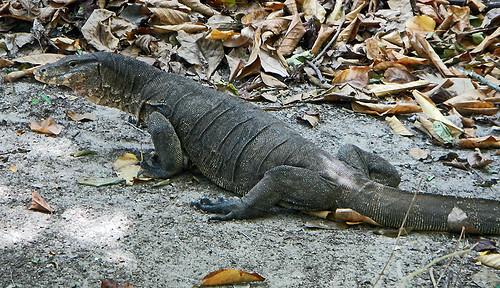 On Koh Roc in Thailand, these giant monitor lizards came crawling out of the surrounding forest as soon as lunch was served; not sure if they were after the food or the Singha! We kept our distance, partly because the guides said that they have a particularly toxic bite, and partly because they were large enough to swallow a small child. This big guy was around five feet from tip to tail, and there were three more just like him who all came out to join us for lunch. In Malaysia I saw one of these big guys slither into the ocean where I had just been swimming, making me realize maybe why that inviting swimming spot was so deserted! 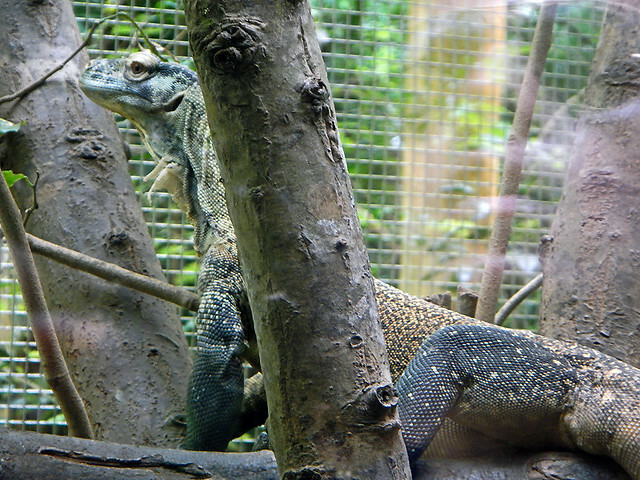 Closely related to the monitor lizard, but way more dangerous, a Komodo Dragon gives me the evil eye at the Singapore Zoo. 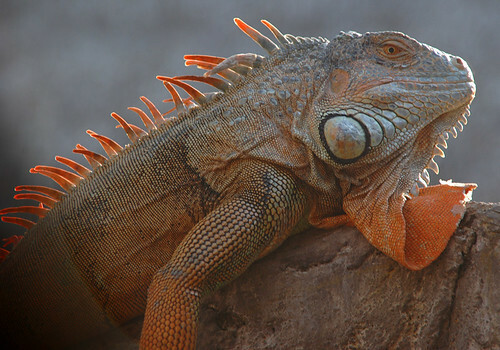 Iguanas are probably my favourite lizard – this orange guy was relaxing on a rock in Mexico, too lazy to scuttle off. 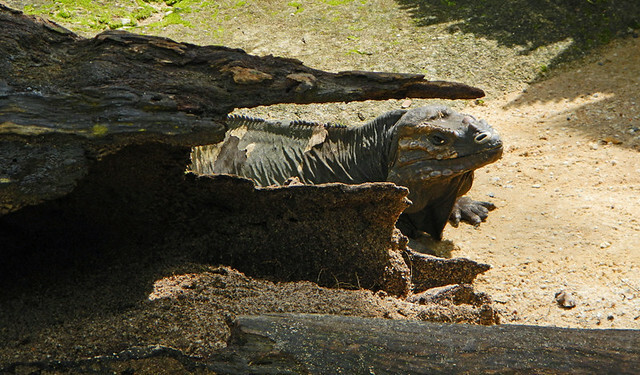 A curious lizard at the Singapore Zoo; he has great colour and markings but his pouchy eyes make him look like some unhappy dragon in a children’s book. 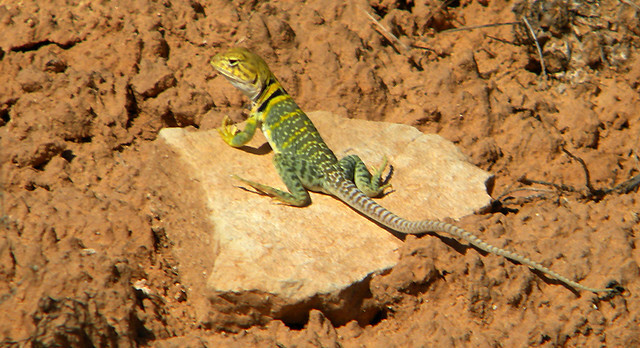 A tiny green lizard on a rock in the American Southwest. 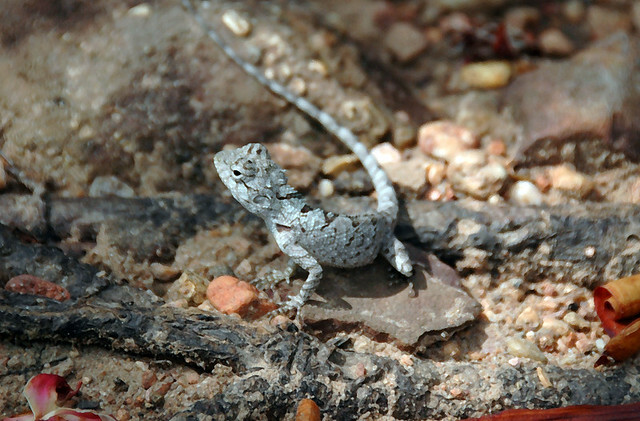 Lizard at Phu Prabat in northeast Thailand (Issan). 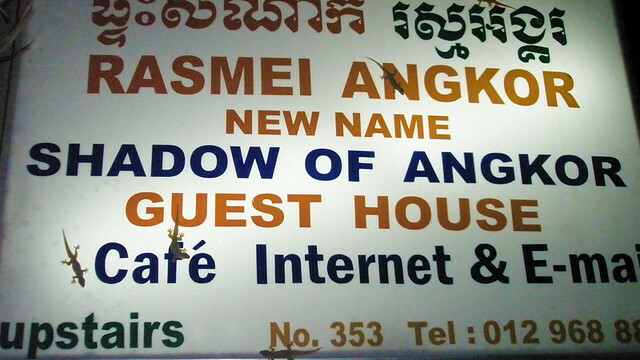 Tiny lizards crawl all over the sign at the Siem Reap Guest House ‘Shadow of Angkor’ in Cambodia. More of Jennifer Nichole Wells One Word Photo Challenge: Lizard.